Creating easy-to-understand Christian products that help people grow their faith. Rose Bible Reference resources help believers to love God by deepening their understanding of who God is. Packed with charts, timelines, and simple summaries, Rose products are designed to make the Bible and its teachings easy to understand. Our prayer is that as readers continue to dive into the Word of God their love for the Lord will deepen as they gain understanding. Aspire Press Christian Living and Counseling products help believers to love others as we love ourselves by sharing practical ways to meet people's emotional, spiritual, and physical needs—covering everything from depression to domestic violence. Compassionate in their approach and rich with Scripture, Aspire books give godly insight and counsel for those personally struggling and for believers who have a heart to minister and encourage others. RoseKidz® publishes award-winning and reproducible Bible lesson material for children, including age-appropriate Sunday school activities, Instant Bible lessons, girls and boys devotionals, fiction books, and much more! RoseKidz’s Bible lessons, devotionals and fiction books helps kids grow closer to God in a hands-on way, using interactive activities! Age-appropriate, fully-reproducible, and flexible, these books and devotionals are packed with Bible crafts, Bible activities, and puzzles that children, parents, and teachers love! Top series include "Instant Bible Lessons," "Five-Minute Sunday School Activities," Bill the Warthog, and the "God and Me!" and "Gotta Have God" devotional series. Some of RoseKidz's awards include Christian Retailer's Best in Christian Education Award, Teacher's Choice Award, and multiple Mom's Choice Awards. Imagine having ready-to-use Bible material for your children. Covers a wide range of ages: nursery, toddler, preschool, kindergarten, elementary (1st–5th grade), and preteen. Rose Publishing started with two "Then and Now"® Bible Maps in 1991 and a dream to make Bible teachings and basic Christian beliefs understandable to everyone. We expanded our line to Christian living topics that help people find the joy of growing through the good news of Jesus Christ. Rose Publishing was started by a Sunday school teacher and a public school teacher in 1991. The mother-daughter team realized there were very few good Bible charts, time lines, and maps on the market for their classes and began creating their own. Other teachers started asking for the charts and the company was born. From those few charts locally, to thousands of loyal customers worldwide today, Rose Publishing is the only Christian publisher that specializes in graphics-rich products. Rose has become known for providing quality products developed by expert authors, including professors and consultants from evangelical Christian colleges and seminaries. The management team and sales staff is made of up industry professionals with years of experience. 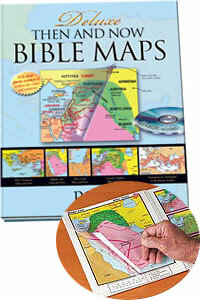 Dr. Paul H. Wright, president of the Jerusalem University College (formerly known as the Institute for Holy Land Studies) has authored a Bible atlas with clear plastic overlays showing where Bible places are today. It will be released in the new format in 2013. Paul lives in Jerusalem and enjoys taking students out into the field to experience biblical locations first hand. Award-winning general editor Paul Carden, executive director of the Centers for Apologetics Research and former co-host of "Bible Answer Man" radio program edits the line of comparative religions titles. Paul is an international expert with 30 years of experience researching the beliefs and growth patterns of cults and sects around the world. Christianity, Cults & Religions has sold nearly 1 million copies. And his new DVD-based curriculum is used by churches and small groups. Dr. Norman Geisler has written Essential Doctrine Made Easy, a handy guide to the key beliefs of Christianity. It should be required for any Sunday school teacher or Bible study leader. Norm has authored more than 70 books and has taught at Trinity Evangelical Seminary, Dallas Seminary, and Southern Evangelical Seminary. He now lends his talents to Veritas Evangelical Seminary in Murrieta, California, as the Distinguished Professor of Apologetics. Robert M. Bowman, Jr., has authored more than 60 articles and books, and is Director of Research at the Institute for Religious Research. He began working as a researcher and editor at the Christian Research Institute, at the time headed by Walter Martin. He has a Ph.D. from Westminster Theological Seminary. He has taught at Biola University and is the former manager of Apologetics and Interfaith Evangelism for the North American Mission Board, an agency of the Southern Baptist Convention. Dr. Sam Nadler is president of Word of Messiah Ministries. He is a Jewish believer in Jesus who was brought up in an orthodox home in New York. After his Bar Mitzvah at age 13, he gave up religious involvement. During his college years he scoffed at people who believed in Jesus. But after reading the Hebrew Bible over several months, he faced the fact that Jesus is the true Messiah of Israel. He has authored many books on the feasts and holy days of the Bible. Dr. Randall Price is the Founder and President of World of the Bible Ministries, Inc. and is Distinguished Research Professor and Executive Director of the Center for Judaic Studies at Liberty University (Lynchburg, Virginia). He is also Adjunct Professor of Apologetics at Veritas Evangelical Seminary in California. He has taught at the University of Texas (Austin), The International School of Theology, Trinity Southwest University, and Criswell College. He has done post-graduate work at the Hebrew University in Jerusalem and has served as Director of Excavations on the Qumran Plateau in Israel since 2002. Pastor Shawn Barnard (MDiv) has been introducing the tabernacle to church groups for many years. He graduated from Ouachita Baptist University with a degree in Religion and Communications and received his Master of Divinity from Southwestern Baptist Theological Seminary in Fort Worth, Texas. Pastor Barnard has been in ministry for over twenty years and has been a senior pastor for more than twelve years. He has traveled extensively throughout eleven countries equipping pastors, preaching crusades, and sharing the gospel. Dr. Timothy Paul Jones serves as professor of leadership and associate vice president for online learning at The Southern Baptist Theological Seminary, the flagship school of the Southern Baptist Convention and one of the largest seminaries in the world. Before coming to Southern Seminary, Dr. Jones led churches in Missouri and Oklahoma as a pastor and an associate pastor. Dr. Jones has been widely recognized as a leading writer and researcher in the fields of apologetics, Christian education, and family ministry. 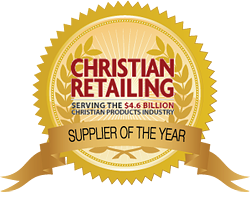 Christian Retailing Magazine awarded Jones top honors in 2010 in the Christian education category for his book Christian History Made Easy. Christopher D. Hudson, author of the 100 Names of God Daily Devotional, has contributed to over fifty Bible projects, sixty study guides and over a hundred books. He has also served as managing editor for best-selling Bibles such as: The Love Languages Devotional Bible with Gary Chapman (Moody); Inspirational Bible with Max Lucado (Thomas Nelson); and the Case for Christ Study Bible with Lee Strobel (Zondervan). He is a graduate from Wheaton College (Wheaton, IL) and is an active teacher in his church for over twenty years. He is from Chicago, IL, where he resides with his wife and three children. June Hunt's minibooks are for people who seek freedom from codependency, anger, conflict, verbal and emotional abuse, depression, or other life difficulties. June Hunt is a biblical counselor whose award-winning radio program "Hope for the Heart" is heard on 900 radio outlets around the world. Joni Eareckson Tada pamphlets bring God's comfort to those facing physical and emotional difficulties. Joni is the founder and CEO of Joni & Friends International Disability Center. A diving accident in 1967, when she was 17 years old, left her a quadriplegic. She has lived in a wheelchair for 45 years and has had her share of ups and downs, suffering from breast cancer and chronic pain. But, as she says, "Oh, the difference the grace of God has made in my life." Dr. John Trent is the author of Aspire Press's 30 Ways to Bless series. Dr. Trent is president of StrongFamilies.com and founder of The Institute for the Blessing at Barclay College. Dr. Trent is a sought-after speaker and an award-winning author of more than twenty books, including six books for children and coauthor of the bestselling book The Blessing (over 1 million sold). He has been a featured guest on numerous radio and television programs and leads The Blessing Challenge, a joint partnership with Focus on the Family and StrongFamilies.com. John and his wife of 30 years, Cindy, have two grown daughters and live in Arizona. Christianity, Cults & Religions - ECPA Gold Achievement Award for sales of more than 500,000 copies. Christian History Made Easy won the 2010 Christian Retailing "Retailers Choice Award" in the Christian Education category. Christian History Made Easy won the 2010 ECPA Christian Book Award in the Christian Education category. Rose Guide to the Tabernacle won the 2009 Christian Retailing "Retailers Choice Award" in the Bible Reference category. Rose Guide to the Tabernacle - Finalist in the 2009 ECPA Christian Book Awards for best "Bible Reference & Study." Rose Guide to End-Times Prophecy - Finalist in the 2011 Retailers Choice Awards for Best Bible Reference. Rose Publishing is affiliated with Hendrickson Publishers. Rose Publishing is a supplier member of the Christian Booksellers Association (CBA) and National Religious Broadcasters (NRB). Rose Publishing has a seat on the board and is a voting member of the Evangelical Christian Publishers Association (ECPA). Rose products are carried by more than 4,000 bookstores worldwide, in more than 60 countries, and translated into many languages. 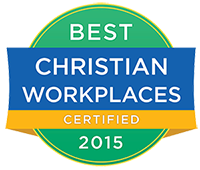 Christian bookstores and chain stores, including Family Christian Stores, Lifeway Christian Stores, Berean Christian Stores, Mardel Inc., Parable Group, Covenant Group, Munce Group, and more. General market, including Barnes & Noble, Choice Books. Online retailers, including Christian Book Distributors, Amazon, Barnes & Noble and Choice Books. Distributors, including Send The Light Distribution, Anchor Distributors, and Ingram. PDFs and PowerPoints® are available at www.rose-publishing.com. eBooks and electronic versions are available through many channels including: Kindle, Nook, eChristian, ChristianBook.com, Olive Tree (Mobile phone and tablets), WordSearch, Vyrso, and more. ChristianManuscriptSubmissions.com is the only manuscript service created by the leading Christian publishers looking for unsolicited manuscripts in a traditional royalty based relationship. It provides an opportunity for authors to submit their manuscript proposal in a secure, online format for review by editors from publishing houses like ours, that are members of the Evangelical Christian Publishers Association (ECPA).